The purpose of attacks with a rogue access point is not WPA passphrase (password of a Wi-Fi network). The attack targets to the transmitted network traffic, which can contain web site login passwords and another sensitive information. An attacker is able to perform Man-In-The-Middle attacks to extract important data. 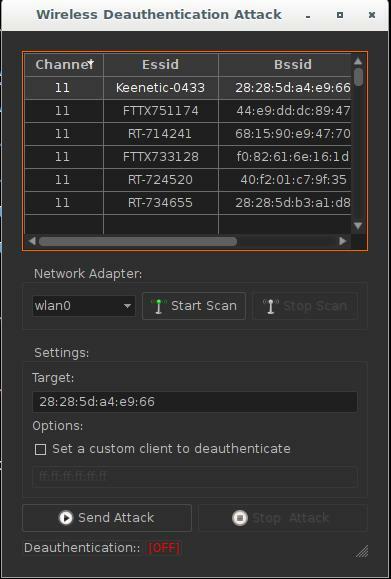 Configuring Rogue Access Point is to configure an open wireless access point. It is the same as to set up a Wi-Fi hotspot. But usual Wi-Fi hotspot turns in Rogue Access Point when an attacker starts Man-In-The-Middle attacks. 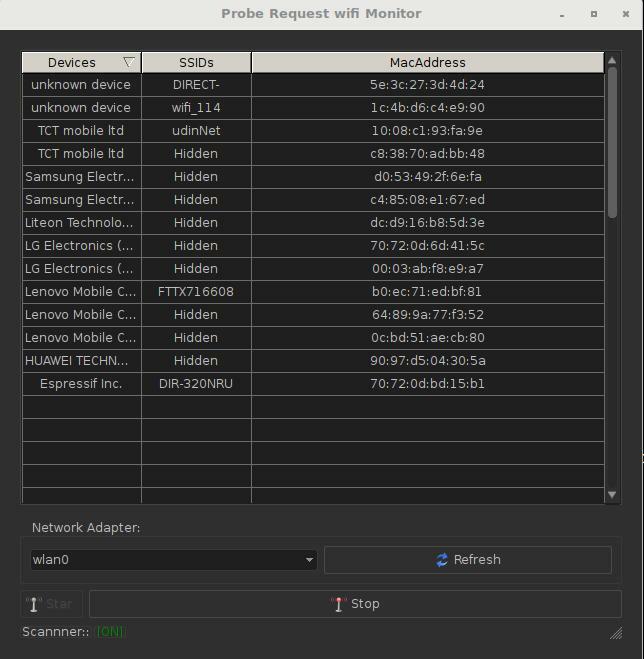 There are programs that automate the process of creating configuration files for a wireless access point, and also provide the proper traffic routing. For example, it can do create_ap. The same actions, but across with launching a man-in-the-middle attack, are performed by the mitmAP program. 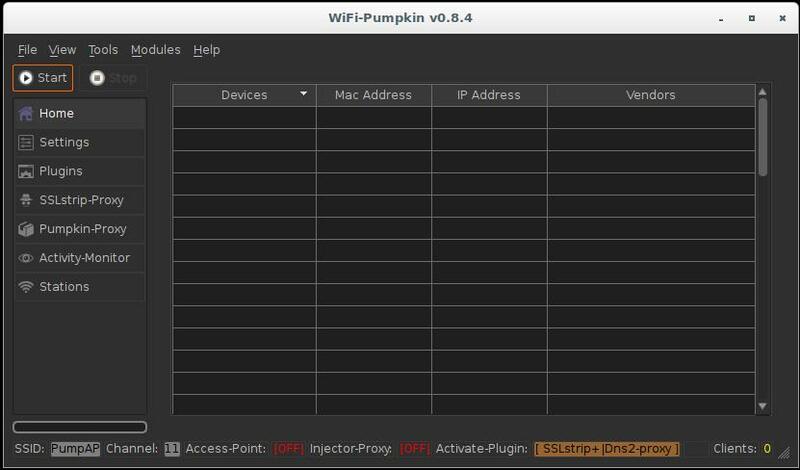 WiFi-Pumpkin is another program for automatic setting up a wireless rogue access point. Its feature is the graphical interface, which further simplifies the Rogue Wi-Fi Access Point Attack. The program has built-in plug-ins (other programs) that collect data and perform various attacks. Note that when you try to start from a normal user (not root), the program does not work. In Activity Monitor settings I set the checkboxes for HTTP-Requests, HTTP-Authentication (credentials from web sites) and Pumpkin-Proxy. In the Plugins tab, select what is more important to you. 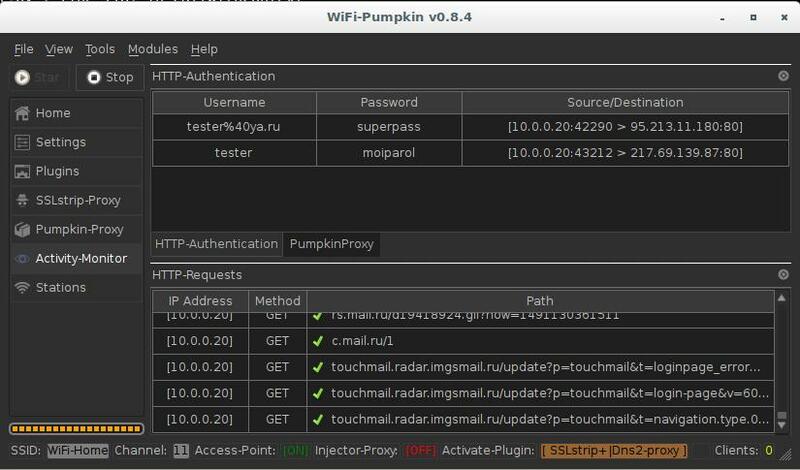 Pumpkin-Proxy allows you to use various ready-made solutions (key loggers, BeEF, code injection, etc. But SSLStrip+ paired with dns2proxy allow you to bypass HTTPS and intercept much more credentials. SSLstrip (SSLStrip+) Sslstrip is a MITM tool that implements Moxie Marlinspike's SSL stripping attacks based version fork @LeonardoNve/@xtr4nge. When the configuration is complete, click Start. dnsspoof Replaces Domain Name Server (DNS) responces. In the configuration you need to specify for which domain name, which IP to return. downloadspoof Replaces downloaded via HTTP files to their malicious versions. dump_post_data Extract the captured HTTP POST data from the login pages. html_inject Injects arbitrary HTML code into an affected web page. inverted_internet Adds an HTML style to invert the contents of the body tag. keylogger Records all keystrokes with timestamps in the array and sends them to an attacker. replaceImages Replaces all images with the image specified in the settings. stickycookie Monitor traffic for Cookie and Set-Cookie headers. upsidedownternet Turn upside down images on websites. Some of them have options. To change the plug-in options, click Settings next to the name of the plug-in. All these plugins will only work on websites without HTTPS. Let us see the work of these plug-ins using the example of keylogger. We will intercept keystrokes. This window displays information about the operation of the plug-in and intercepted information. Phishing Web Server and others. 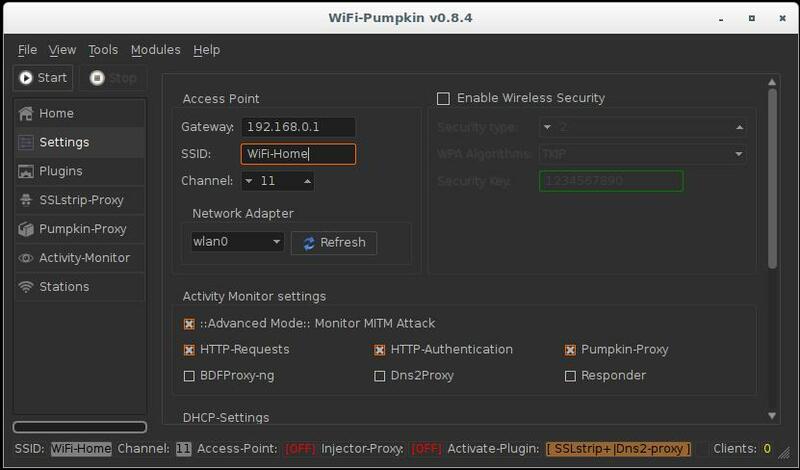 Thanks to the graphical interface, WiFi-Pumpkin further simplifies popular attacks. The framework implements a comprehensive approach to Rogue Wi-Fi Access Point Attack.